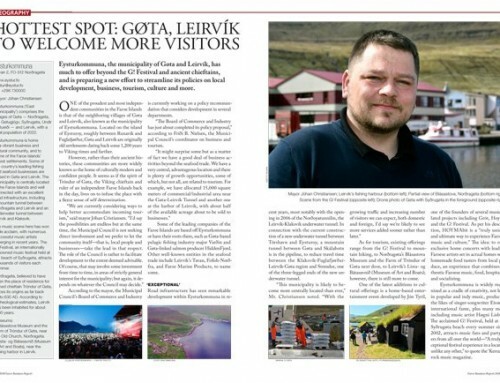 With an unprecedented pace of development taking place in services, not least the hospitality business, the Faroe Islands capital Tórshavn is on track to become a highly popular destination for international conferences and events. 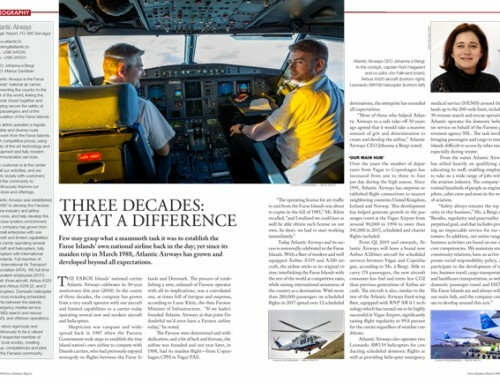 An unmistakable trend has been widely noted of late: people who travel, for business or pleasure, want to experience something fresh and different, something that is peaceful and secure at the same time—and among these people, more and more are discovering how and why the Faroe Islands is fast becoming a very real contender in this highly competitive space. 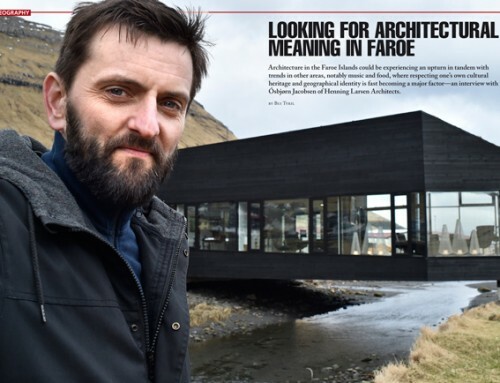 Much of the Faroese capital has undergone what could be described as a process of transformation—a process set to produce even more tangible outcomes within the next couple of years. This includes a series of new buildings, many of which have been designed in a modern and original style. Some of these are schools scheduled for completion within a year or two; coming on the heels, a batch of new hotels and extensions of existing ones; likewise underway, a non-traditional style of residential housing with apartment blocks and non-detached houses, many of which have been completed in the last decade or so. Also, across the islands, quite a few commercial buildings and industrial structures have been added while, especially in the capital, cultural and sports venues have been, or are being, renewed, renovated or extended. 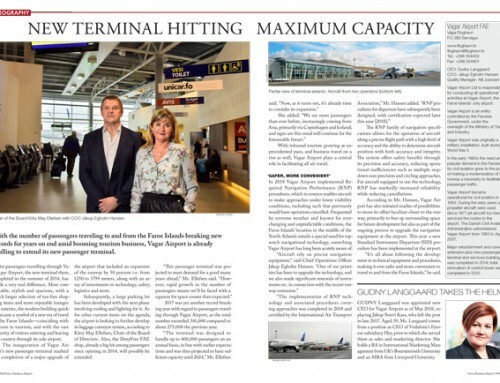 “We’re currently increasing our hotel capacity significantly,” Ms. Olsen noted, with a reference to the ongoing expansion of several Tórshavn hotels and the upcoming construction of new ones, two of which will be able to accommodate some 400 guests. Abroad, awareness of the existence of the Faroe Islands appears to be growing, supported not merely through promotional campaigns from the tourism industry but spreading organically in tandem with increased focus on the idea of experiencing unspoiled natural environments in off-locations, coupled with the need to address security concerns in many places around the world. According to the Mayor, this is a context that makes Tórshavn perfectly positioned as a viable alternative to other capitals in Northern Europe. Apart from increasing hotel capacity, public infrastructure is being upgraded in a rather spectacular manner across the Faroe Islands, with two giant underwater tunnels in progress. One of them, linking Tórshavn to two communities on the neighboring island of Eysturoy, is scheduled for completion by 2020. 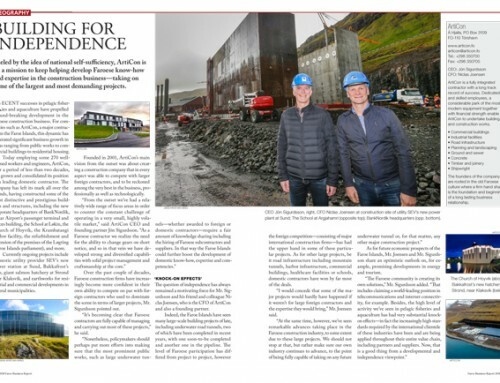 A second one, to be constructed once the former has been completed, will connect the island of Streymoy, which includes Tórshavn, with the island of Sandoy. In education, meanwhile, the University of the Faroe Islands (Fróðskaparsetur Føroya) has become part of a growing network of universities. On another note, the Tórsvøllur stadium is being expanded for upgrade from a ‘Category Three’ to ‘Category Four’ venue, further boosting the Faroese presence in international football.